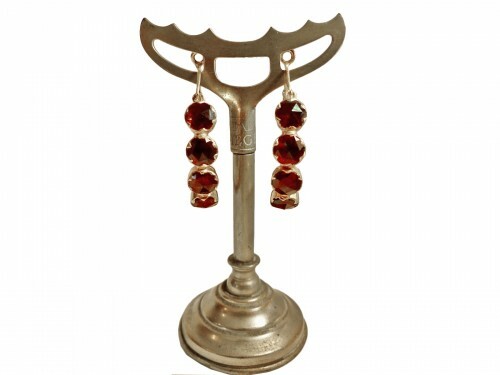 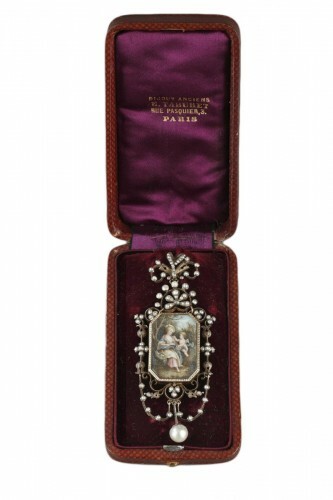 AnticStore > Catalogue > Antique Jewellery > 19th century > Silver chatelaine with pearls. 19th century. Silver chatelaine with pearls. 19th century. 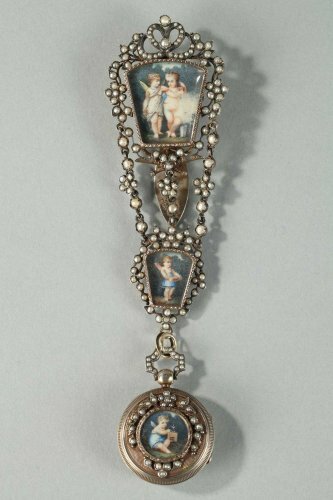 Silver chatelaine inlaid with pearls and composed of three sections. 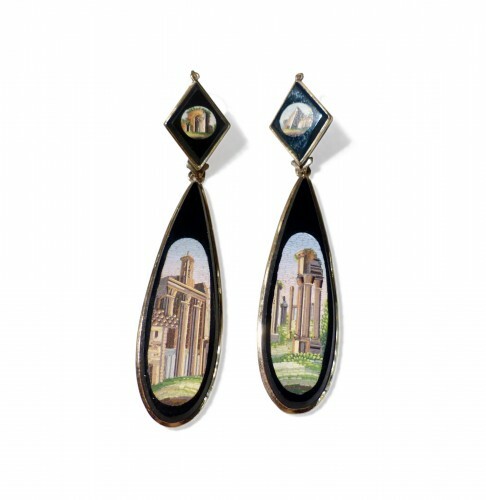 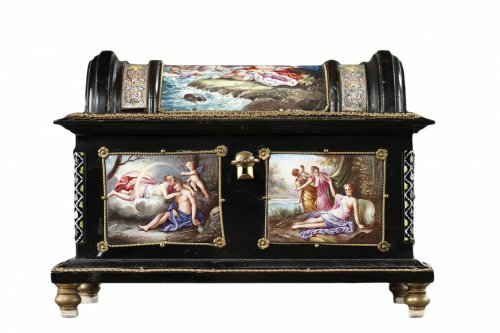 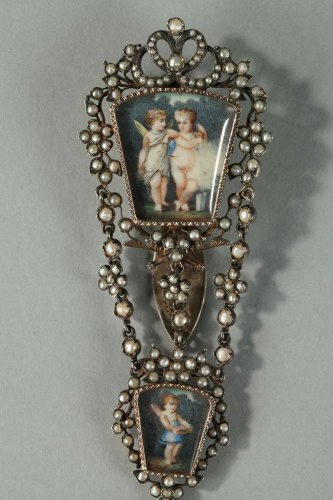 The upper portion features a belt hook decorated with a miniature showing two cupids set in a frame topped by a crown and embellished with pearls. 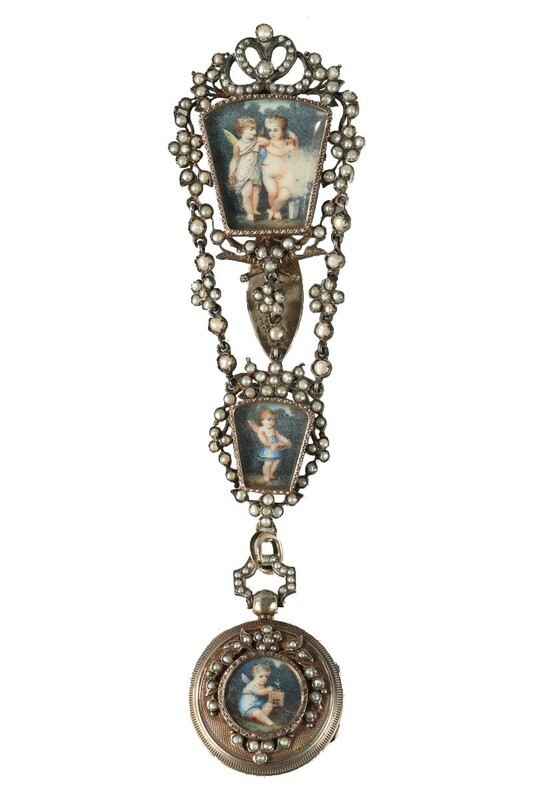 Three decorative chains connect the upper medallion to a central medallion that has another miniature featuring a cupid holding a wreath of flowers. 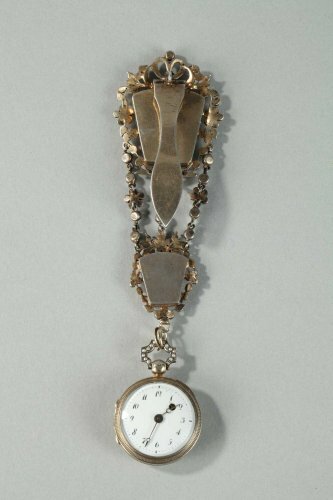 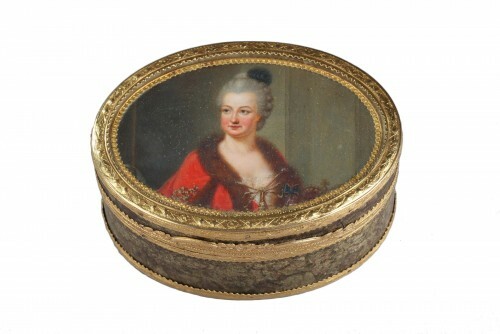 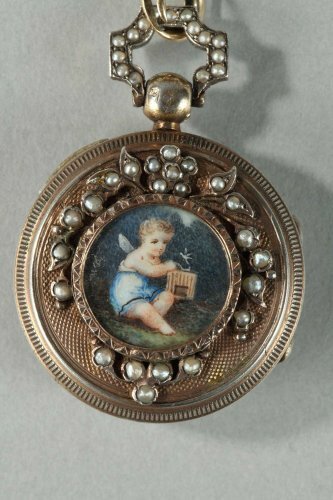 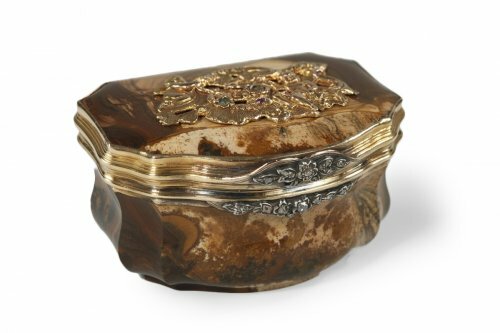 The piece supports watch whose casing is decorated with an intricate latticework motif and also has a miniature of a cupid releasing a dove from a cage. 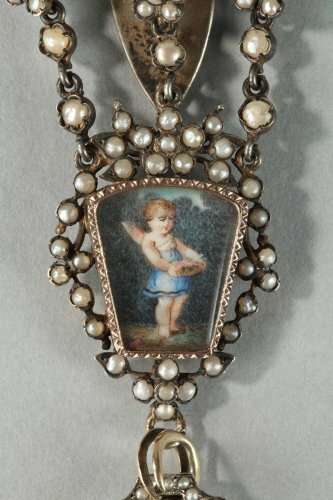 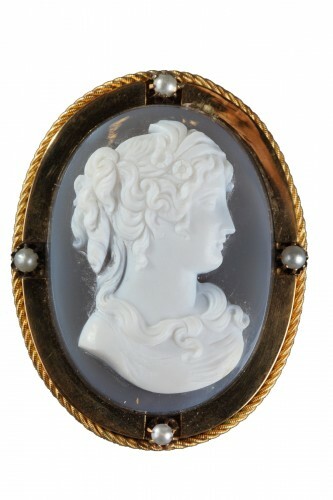 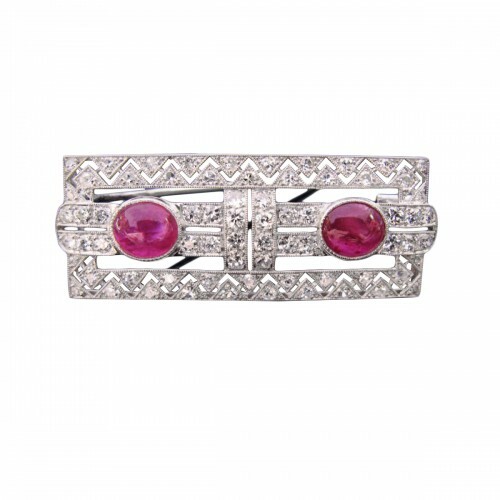 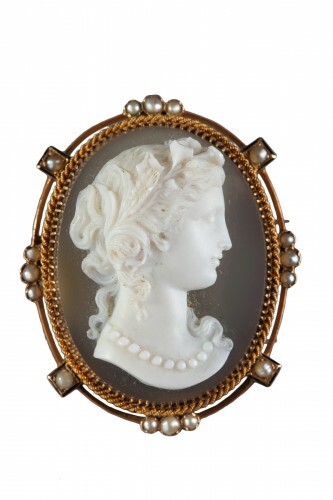 The entire piece is highlighted with pearls.